Everett M. Price, a professor and a member of the Concordia University community, passed away peacefully on Aug. 19, 2012 at the Montreal General Hospital, in the presence of his family. He was 71 years old, and had taught at Concordia since 1972, when he began as an associate professor in the Canadian Studies program. 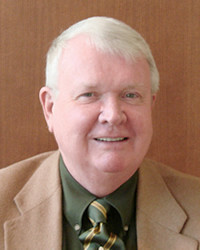 Price was both the first chair of the Political Science Department and the founder of the Master in Public Policy and Public Administration program. He developed various internships and partnerships, as well as a joint Master program with Grenoble University. Price will be deeply missed by family and friends, but was also particularly loved by the countless students lucky enough to have known him as a professor and academic advisor. He will be remembered by these students for his generosity, integrity and kindness most of all. Those in the department were always grateful for his mentorship, attention and insight. Price was widely known as remarkably proactive for the rights of his students and genuinely dedicated to their learning. In return, they had nothing but deep respect and admiration for him. The impact he had on these young people is evident in the dozens of journal entries, posts and group messages made online in recent days, with former students trying to find comfort in shared memories. “He believed in us,” was a common refrain, and even decades later many cite his support as an instrumental part of their success in university and beyond. There are plans to establish a scholarship in his name for graduate students pursuing an MA in Public Policy and Public Administration. Price is survived by his loving wife Maria Peluso, who continues to teach in the Political Science department and serve as the president of the Concordia University Part-Time Faculty Union, as well as his children Kursteen and Roy John, and grandchildren Vaughn, Nadia-Jane, Finley, Manan, and Maella. No service was held, but a memorial celebration of his life has been planned at the Loyola Chapel for 12:00 p.m. on Sept. 30. Well-wishers are encouraged to leave their thoughts and memories on the Kane Fetterly Funeral Home’s website.